When we look at the data around the common Western treatments, we can easily become disheartened. How can we possibly find a “cure” for this scary dis-ease called cancer that has happened to us? For starters, we need to understand that the word ‘cure’ is a misleading term. There is nothing outside of our body needed to heal except the right food we were designed to eat to give us energy and the ability to repair and regenerate. The key here is to understand we need to put the right raw materials in our body to get the results we are after. If we try to build an airplane with spaghetti we are not going to have an optimal flying experience. If we continue to follow the Standard American Diet (S.A.D.) after having built disease in our body, we will not have optimal results. What I mean by “having built disease in our body” is that the condition our body is in, how the inner terrain is functioning, is the real question we should be asking. In America we are taught that everything that happens to us is a result of things from the outside, someone or something else did this to us. 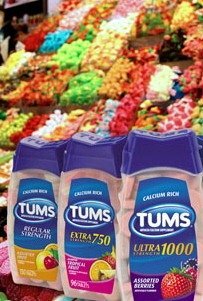 For example, when we get an acid stomach we are taught to put Tums in our stomach to ease the acid production. 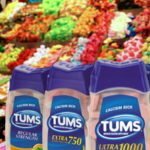 The truth is not that we have a Tums deficiency and need to put that in our stomach to reduce the acid. The real truth comes from analyzing what caused the body to overproduce the acid in the first place. And wouldn’t it hold true that if something we put in our mouth eases the symptoms, then wasn’t it something that we put in our mouth to begin with that caused the problem? The same is true for any disease. If we analyze what caused us to get sick in the first place then we can learn how to undo the ‘imbalance causing actions’ and heal. This is why I say there is no ‘cure’ for diseases. 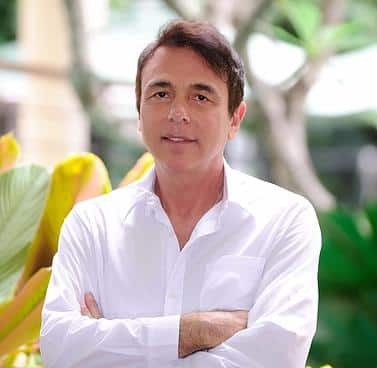 There is no sustainability in sitting somewhere and receiving treatments that may cause an appearance of healing but without changing the root of what caused the problem in the first place we will be back at square one pretty quickly. 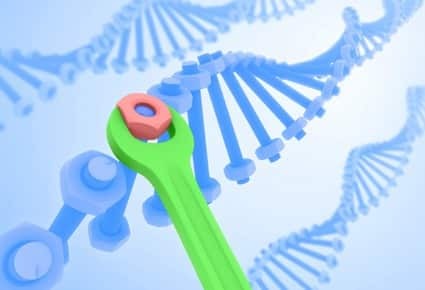 And with the major imbalances that lead to our body converting cells into a primitive state so that we can stay alive (this is what cancer really is), we must analyze what we are doing to our body to cause this and stop doing it if we want to heal from cancer. This stage of disease is severe and radical changes must be made to reverse the measures the body will take to survive or the cancer will return with a vengeance. This radical path may seem too simple to possibly work or a too extreme journey for others to fathom embarking on. There is a simple solution to begin the healing process and that is analyzing what you are putting on and into your body. When we take the time to experience how convenience foods and products we use in and on our body affect us, we will start learning what humans were really designed to tolerate. We must consider with all of the industry and conveniences that we enjoy in modern America, while making life easier, may not be contributing to health in our body. Some of these include fast and processed foods (nutrient deficient, filled with harmful chemicals), air fresheners and perfumes (petroleum products that are harmful and toxic), beauty products like lipsticks and deodorants (contain heavy metals and other disease causing toxins), plastic bottles, bags and canned foods (all contain hormone disrupters, BPA’s), etc. In part 1 of this article series we will focus on how we can begin to switch our diet to one that is filled with nutrients (not heated above 118 degrees), enzyme filled (life force energy), organic (pesticide free), GMO free (genetically modified organisms), as well as free from all of the improper ingredients added to our food supply that is damaging it and thus damaging us, such as preservatives and mislabeled ingredients like MSG that is now called Natural Flavors even though it is well known that its toxic to us. Even foods that are supposed to be sugar free or low fat are made from toxin forming ingredients that start to wear the body down by making it work harder than it should have to. Some of you may be rolling your eyes thinking this is got to be expensive or time consuming. I must ask you then, will it not become expensive when you no longer can work, require very expensive treatments, and your insurance drops you? The average American will pay out over $350,000 just to die of cancer and side effects from orthodox cancer treatments (cut, slash, burn). The first key in the An Oasis of Healing Diet for Cancer Patients, is to shift your thinking from “have to” to “want to”. A simple mantra for your day with regards to food is, “What can I add to my diet today that’s healthy?” Forget the negative language. That’s part of what got you hear in the first place. A simple tasty solution that can get you moving in the right direction quickly are smoothies. All you need is some low glycemic fruit, a few veggies, some tender greens, a blender, some water, and you are set! Blend all ingredients in a high speed blender with 2 cups water to start. Add more water to create the thickness you like. Add ice as needed. 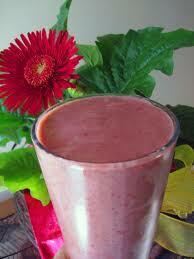 Remember not to blend too long without ice or the smoothie will heat up destroying delicate nutrients. We need all we can get in this toxic world! Work with this recipe as a base for many variations of smoothies. Remember to stick with low glycemic fruits and veggies like green apples (not red apples), any berries (no banana or mangoes please), broccoli (not beets), any lettuces (no carrots please), and even celery, fennel, and cucumber. You can try sweetener alternatives like Stevia, Lucuma, and Yacon syrup. You can even try different nuts and seeds just make sure they are raw not roasted, salted, or boiled. In the next article, we will discuss more recipes to help you continue shifting your diet to a healing one. Baby steps are the key! Love yourself! We do!